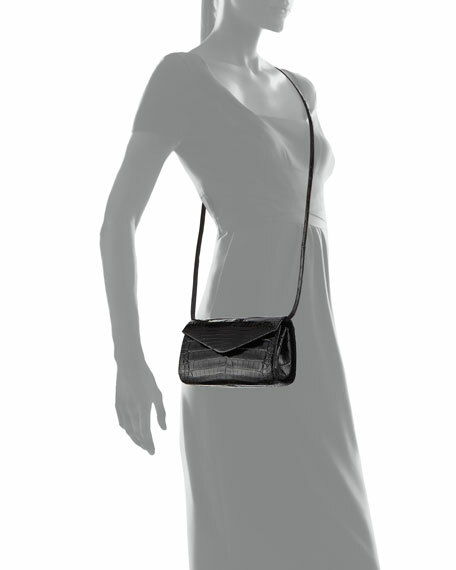 Nancy Gonzalez crossbody bag in shiny signature Caiman crocodile. Removable chain shoulder strap, 11.4" drop. Envelope flap top with snap closure. One slip pocket; two card slots. 4.5"H x 8"W x 2.5"D.
"Amour" is made in Colombia.